Black, Small - SHIPS FREE! Black, Medium - SHIPS FREE! Black, Large - SHIPS FREE! Black, X-Large - SHIPS FREE! Compression wear relieves achy legs and feet from poor blood circulation. Shape To Fit™ Open Toe Compression Socks by Dr. 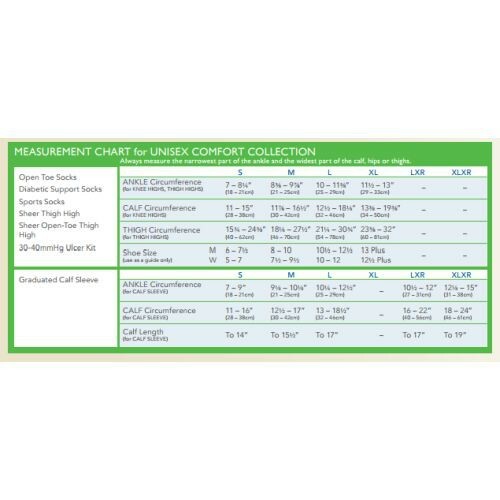 Comfort add extra firm 30-40 mmHg graduated compression power to prevent blood pooling and inflammation in the legs from medical conditions such as edema, diabetes, inadequate veins and varicose veins. The open toe design is particularly helpful with donning when wearing extra firm compression. It also keeps feet cool in warmer weather and pair well with sandals and open toe shoes. The cotton with Lycra fabric uses the latest technology for softness and comfort for longer wearing.